Here's a little inspiration for you from an individual who caught my attention through beautiful photography and styling on her blog. 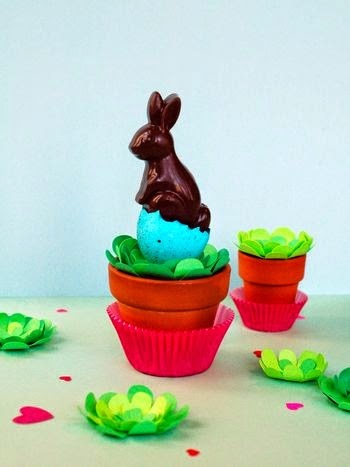 Aptly named, Bunny Cakes, this particular blog displays well-designed crafts that are approachable, feasible and infinitely inspiring, with a nod towards bunnies of all kinds. 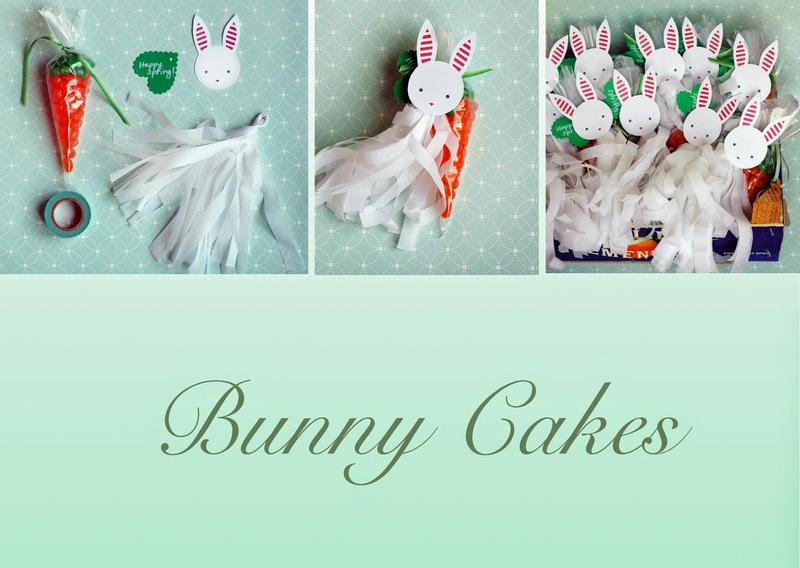 Paper bunnies, cookie bunnies, and even jadeite bunnies appear on Kristin's blog quite frequently, but it is through her creative posts that she shows you her minimalist approach to crafting as well as decor. I first came across her photographs through instagram, and while perusing her various posts, I knew that I was onto a kindred spirit. Not only does she take excellent photography that is clean & crisp, she also collects some of my favorite things! What I love about the way she styles her content is the attention to detail that makes all of the difference. You do not see anything that is haphazard or out of place. It's all in the details! Kristin and her sister (her sibling helps organize & write the blog) are occasional bloggers, meaning they post only a few times a year. However, the posts are stunning, inspiring and worth getting to know. 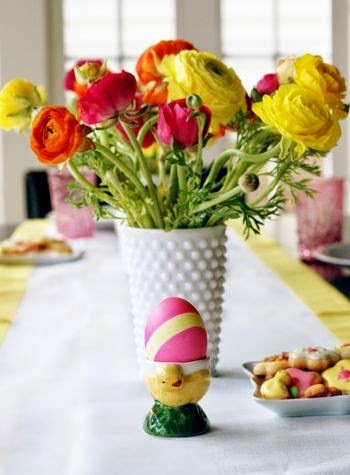 This Easter egg is nestled on a small basket and is surrounded by pom pom flowers. After getting in touch with Kristin, and asking if it would be fine to write about her for my monthly inspirational blogs, she readily agreed to have me share examples of her photography. Kristin also provided some answers to a few questions I asked her. My sister, Alison, is the reason I started blogging. She’s on the East Coast and she and a friend on the West Coast started a blog as a way to keep up with each other and share projects. I was immediately smitten with their blog and thought, ‘I want to do that too!’ My sister agreed to help me blog on BunnyCakes and that was all the support I needed to dive in. Today, she is a very infrequent blogger now but her support has been everlasting! You have a great eye for color, style and context. Where do you find your inspiration? Thank you for those kind words. There are few key things that inspire me and ground my aesthetic. I am half Japanese and I am extremely drawn to Japanese things/style. To me this means clean lines (not too fussy), natural beauty (like the veins in marble) and balanced ornamentation (not too exuberant and not too austere). I think that also describes Martha Stewart’s aesthetic, which may also explain why I love her stuff so much. Martha Stewart and the stuff her team has created is a constant source of inspiration. I have always been artistic, but Martha helps draw out a practical/applicable side of my artistic ability. Her magazines and catalogs showed me what was possible when you take the time to make something more beautiful. You have to be able to enjoy that process or it isn’t for you—I love that process. I have all her magazines organized by holiday/month so I can easily pull out all her Halloween issues and pour over them to get inspiration. Pinterest & Instagram are also great sources for inspiration. I also really enjoy Veranda magazine for interior design inspiration. Finally, my kids and the holidays motivate me to be creative. I want to create a beautiful life for them and for me (my husband doesn’t care so much, but it is for him too). I want them to look back with great fondness at their childhood and remember the little details which made a difference and I hope they would feel motivated to do the same for their kids. My goal for my blog is to share and inspire, but also to document for my kids (and myself) the fun and creative stuff we have done. I recently took a year off blogging. It wasn’t because I wasn’t being creative and doing cool stuff, I just didn’t have the time to sit down and pull together a blog post. Even though I am mostly a very private person it feels liberating to share and get your stuff out there. I missed that when I wasn’t blogging, but I got some of that through Instagram. Plus it makes me feel a little like Martha…and that’s a good thing! Look at this enchanting chocolate bunny sitting on a throne! 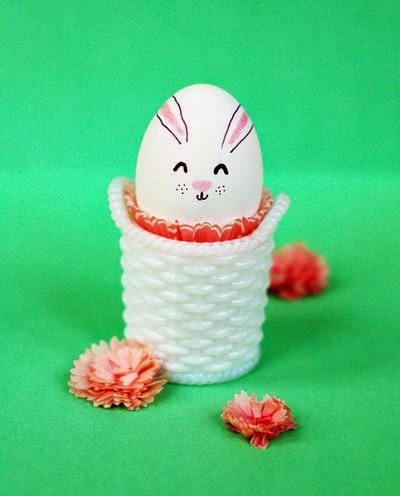 Popping out of a faux robin's egg, the bunny is ready to usher in the holiday. This two-tone dip-dyed egg nestled on a beautiful egg cup is simply beautiful sitting next to a platter of decorated cookies. Oh yes, Kristin bakes and ices some of the best cookies ever! There are many reasons why I love this photograph. To begin with, the jadeite covered bunny dish is similar to one that was gifted to me by a dear friend. It's a Martha by Mail collectible which is among my favorite pieces of jadeite. 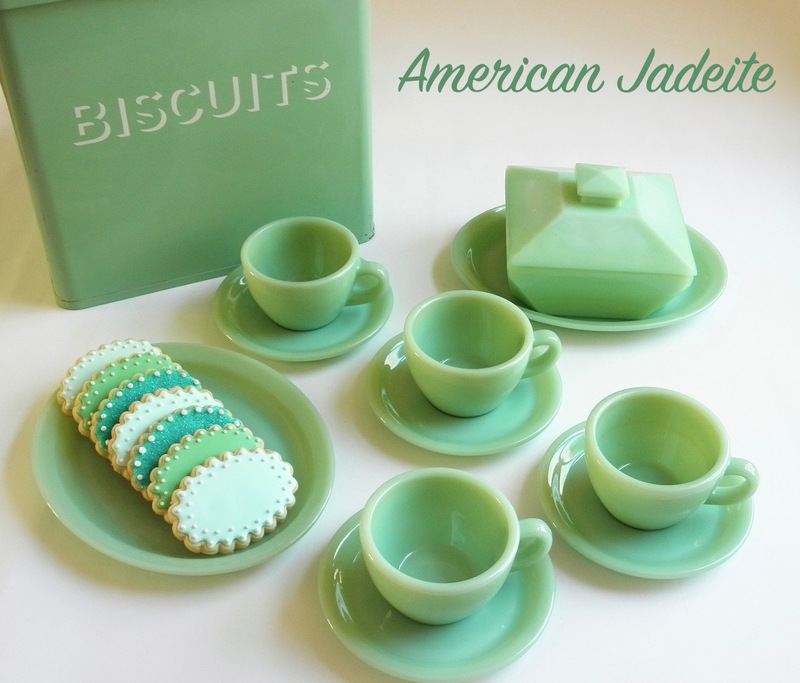 Kristin loves her jadeite, as well as her other Martha by Mail treasures. 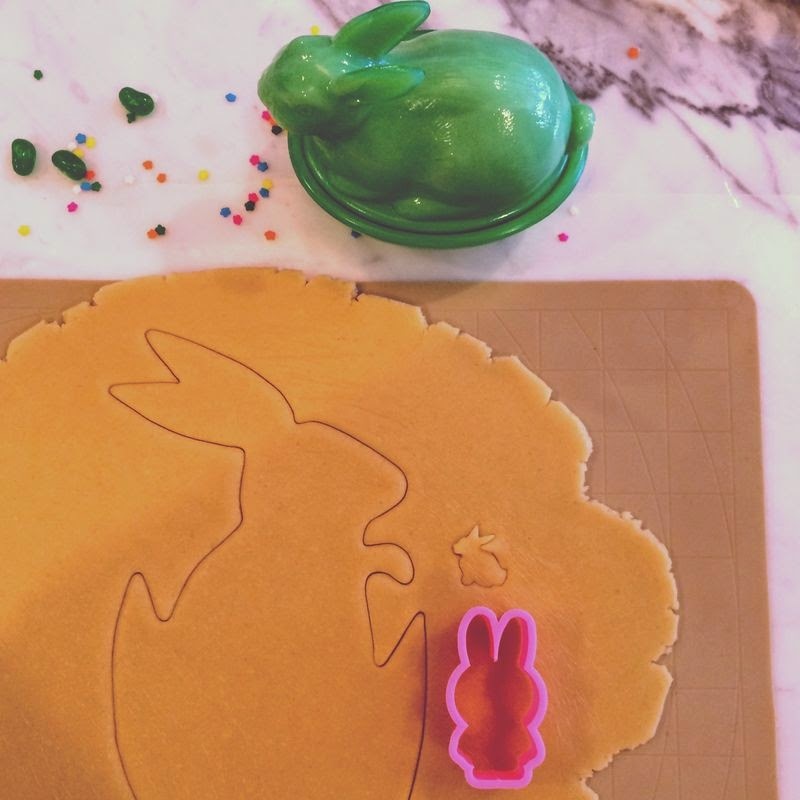 You can tell by looking at that rolled out sugar cookie dough, with it's hatching bunny cutout, that she too loves the iconic copper cookie cutter that many of us own. 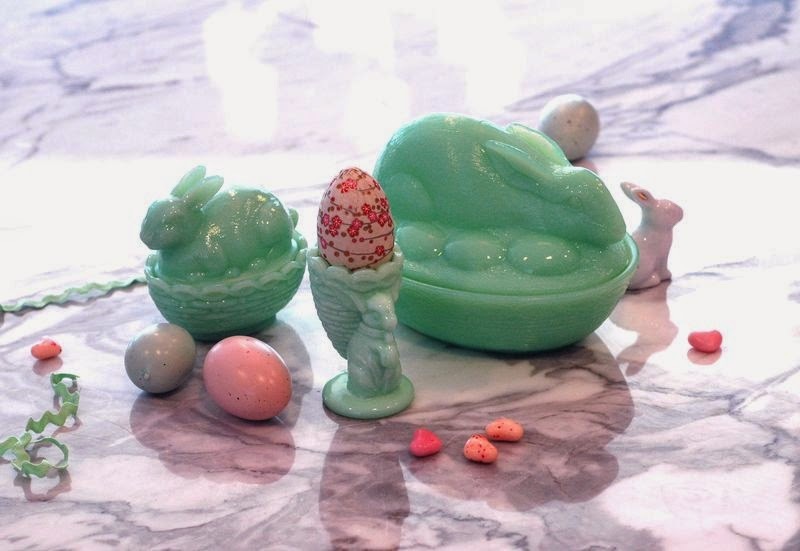 Some of her jadeite bunnies sitting on a marble countertop in her home feature jelly bean eggs, candy-covered malted eggs as well as Washi paper eggs that she adores. 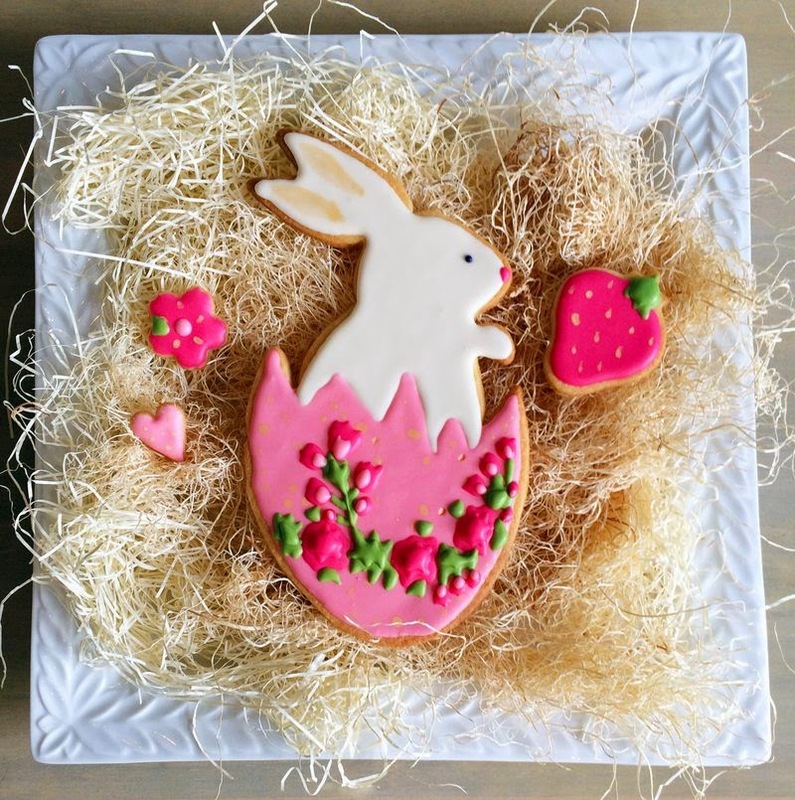 This stunning bunny cookie sitting on a nest is perfect for Easter. Who wouldn't want to have that on their dessert table? 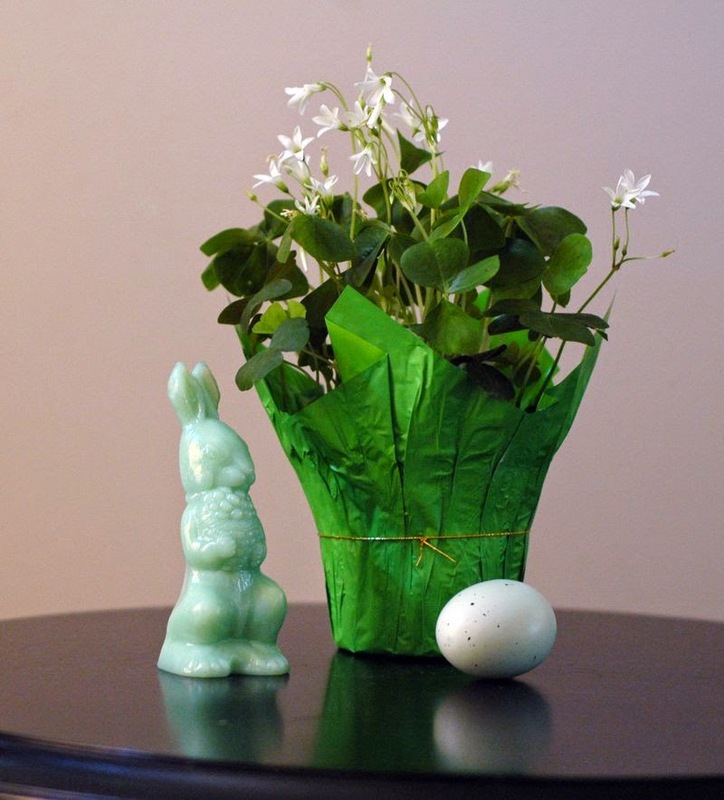 Here is another beautiful jadeite bunny sitting next to a flower pot and faux egg. Take a moment to visit the Bunny Cakes Blog and be motivated by Kristin's creative aesthetic and approach to blogging. You're going to love her ideas and photography. 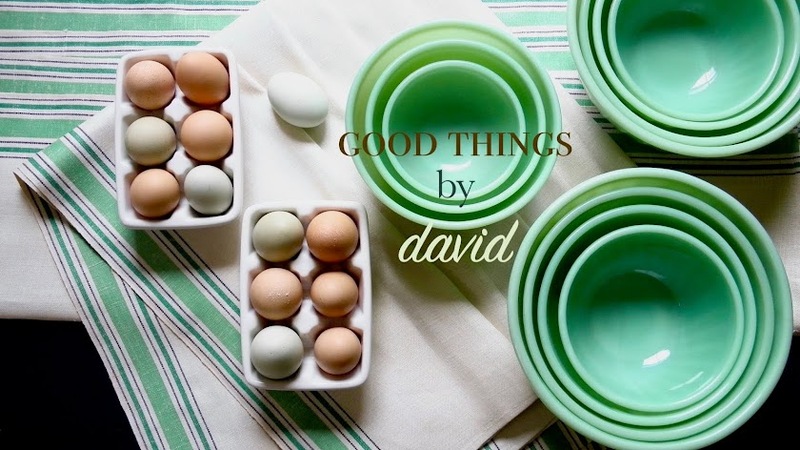 Thank you, Kristin, for being kind enough to have me share your blog here on Good Things by David. Continue to inspire me as well as your readers! David, thank you for the lovely post! 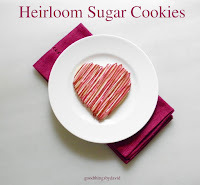 I feel very honored to be featured on your beautiful blog! Kristin's blog is amazing! Thanks for sharing it. I'll be following it from now on . What is Kristin's instagram name so that I can see more of her photography? @Edward, her blog is amazing and I'm so glad you liked it too! I'll post her Instagram if she agrees. Thank you David for sharing another great blog! You're welcome CoCo! I really and truly love Bunny Cakes! Thank you David and Kristin - beautiful blog post, I love her philosophy about blogging as I think that is what this is all about - sharing & inspiring with like-minded folks, something you both do. Happy Easter. j. Absolutely Joy! I couldn't have said it better myself. In the end, it's all about sharing our ideas, our passions and our creative talents, while having fun. Have a great one Joy!